Today I’ll be charging hard at you once again with a great post on the best studio headphones for mixing!! These 3 models I’m about to talk about are some of the most highly regarded in existence for mixing and reference. Do you want my top recommendation right now? Check out my Sennheiser HD 600 Review! A more detailed description and link to the review can also be found at the bottom. All of these options are ‘open back’, which are far more conducive to mixing. Why? Because with closed back cans, the sound gets sort of “trapped” inside your head, with no room to breathe, thus muddying the sound and leaving you confused and annoyed. The open back lets some sound escape in order to keep the mix airy and fresh, sort of like Febreeze, Lol. impedance: 300 ohms. What is Headphone Impedance? Out of countless headphones he’s reviewed, only 4 got A+ value ratings. The HD 600 was the first one. Great mid-range, very natural (their bread and butter). A bit “veiled”, meaning the upper registers and treble frequency may be lacking as well. What is the Sennheiser Veil? Don’t forget to like, comment, and subscribe to my growing channel. 🙂 Any support is much appreciated!! A quick note: the DT880 Pro’s have a coiled cable and a tighter fit. The DT880 Premiums have a straight cable and a looser, arguably more comfy fit. There’s also roughly a $100 difference. Based in Germany, these things are as rock solid as it gets really. This super reviewer, and owner of basically every headphone in existence, gives only 4 headphones in his collection an A+ value rating. May be the best investment you’ll make regarding flagship audiophile headphones. Simply an amazing value at this price point. One of the best (if not the best) for mixing/reference. Very comfortable (perhaps THE most comfortable headphone). High end may be a bit exaggerated to some. It is important to know that for 250 Ohm and up, an amp is highly recommended. You may be able to get away with not using one for 250 Ohm impedance, but then again you’d be doing yourself a disservice by purchasing a headphone of this caliber. This is a relatively simply way of illustrating it. Most amps need a digital to analog converter so that your brain can make sense out of the numbers. It functions much like an audio interface. The sound is a jumbled mess until it is converted to a signal that we can process. This signal is meant to be of a much higher quality than your standard built in DAC that comes with your laptop or CPU. Schiit Bifrost (a bit more expensive) and can also be paired with the amp of your choosing. Check out this sweet video review! An extremely accurate, neutral set of mixing cans that gives a slight nudge in the treble department. Sound-stage is wide, but some detail may be lost. The low end is clean, but lacking to some. These headphones are considered one of the go to cans for mixing. They are comfy, durable, and give you a neutral sound conducive to mixing. If you’re a producer, or a casual listener who appreciates honest sound.. they are definitely for you..
Now for the last option.. These babies are pretty sweet, and are particularly good for mixing, as they provide you with a neutral and flat sound. The bass is somewhat lacking, but the mid range is really it’s strong suit. The sound-stage on them is exceptionally wide, but some say so wide that they may start to sound a bit unnatural. They are very even sounding across the spectrum, with no frequencies overpowering each-other. They will require a good amp, and are really power hungry. They aren’t really plug and play type headphones, even at a modest 62 Ohm impedance. They also won’t sound too good playing back low quality crap, being that they are so honest. The sound is pleasant from your mobile devices, albeit a bit on the weak side. Be forewarned though, AKG has recently changed it’s headquarters from Austria to China, and many people aren’t too happy about it. Why? Because the quality has gone down somewhat. That being said, these headphones are still among the best mixing cans available for this price range on the market. They are still getting really good reviews and still have a reputation for being one of the best. slight pressure from the head band after many hours of wear (there are little dots on them that reviewers have complained dig into their dome). This amp has been known to pair well with the 701’s. If you’re looking for a wide, expansive sound-stage, these will do very well. They are also pretty darn good for mixing, and will give you a flat, even response. The mid-range on these is particularly good as well, as they render acoustic instrumentation with a startling realism. The K701 excels in flat, even sound conducive to mixing, but some may find that they will have to overcompensate due to lack of bass impact. Has a wide sound-stage, great mid-range, as well as good clarity and instrument separation. It lacks comfort as far as the bumpy quality of the headband. These also may be a bit awkward sounding, since they will expose tiny human flaws in musicianship that other headphones gloss over. It’s a really close call between the DT 880 and HD 600. I’ve gone back and forth seemingly forever on this issue, because I’ve been debating long and hard about it for months now. My goal here at home studio basics is the same goal that I hope to arrive at when doing my own research: To find as much information as possible about the product, and then come to a decision on which option better suits me. I want to do the same thing for you! If you’re going for a headphone with more detailed highs, the DT 880 is your best bet. It has a wider but more 2-d sound stage. With the 880, you are more aware that you’re wearing headphones. If you’re looking for that amazing mid-range, and a sound-stage that feels more natural than the 880, go with the HD 600. It’s more 3-dimensional, and feels like surround sound speakers rather than headphones. The HD 600’s definitely give off more of a laid back, smooth vibe. It’s overall more of a purely enjoyable listen. Well friend, I’ve finally come to a decision on the best mixing/reference headphone in it’s class or otherwise. I would go with the Sennheiser HD 600 above all. It’s been called the gold standard, with a price to performance ratio that is through the roof. As you know, I debated a long time over the 880 and the 600. The reason the latter gets the nod is because of the treble range. While the DT 880 is a remarkable headphone, it’s high end suffers from that sibilance factor. It can be pretty harsh, and very “bright” at times. What does sibilant mean? Conversely, the 600 has been called “veiled” on many occasions, and the debate is longstanding. Veiled is simply that it lacks some air and harmonic content in the high end. Overall though, it has become what producers go to when they need the absolute most honest and flat sound across the entire frequency spectrum. With a mid-range that is just a hare forward, these babies render vocals and acoustics with crazy clarity and startling realism. In that regard, they are something to get excited about, and have been called the Genre master as well. 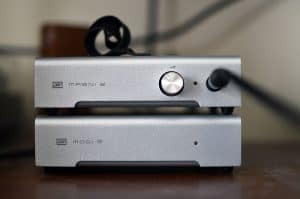 READ MY FULL SENNHEISER HD 600 REVIEW!! Well that’s about it for today! I really hope you learned something during this long winded article on the best studio headphones for mixing! If you have any further specific questions, please don’t hesitate to ask in the comments below, or Contact me! 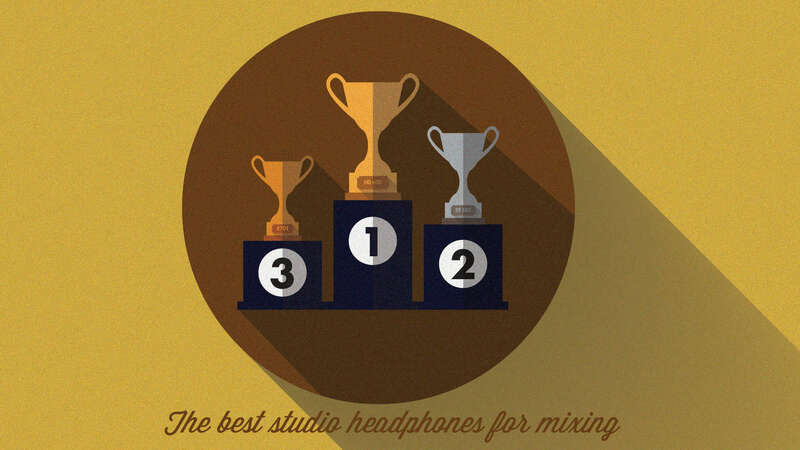 Which of these headphones sounds like the best mixing headphone?? Let me know!! Great work. I have never known such good information about headphones. Thank you Tigran for stopping by! Great info! Are any of these good for mixing live or just in the studio? It sounds like they might be a bit quiet if they need a separate amplifier. Thanks for the comment though brother! Hi Stu Very honest review of the pros and cons of the best studio headphones for mixing. You have explained all the technical stuff well and set all the info out very clearly. Thanks Annie, I appreciate you dropping in! Another great review, you really do know your stuff. To be honest, I don’t have a home studio, nor am I a sound mixer, but I do love music and there is nothing better than listening to it through headsets. What, in your opinion would be the best headsets for someone like me? Let me know your budget or what you want to spend.. It can really get crazy when you delve deep into the world of snobby audiophiles such as myself! 1) Sennheiser HD 202. A great entry level model. Won’t break the bank. Sounds great. Can get a bit uncomfortable after awhile. (I own these). Anything less in price than these, don’t even bother. 2) Sony MDR 7506. A bit of a jump in price, these were my introduction to higher end equipment. The reason I recommend these is because they are THE industry standard. If you pay attention, you will inevitably see them pop up everywhere. They have been around for decades and don’t plan on leaving anytime soon. A great model. Great sound.. You will be shocked and amazed at how different your recordings sound. good breakdown. I use the ATH M50 for the musicians in the recording room, and there they are top notch. Whenever I need headphones for mixing I also use them of course, never thought about getting different ones. Now I started thinking! The points you make are all valid. And of course, in home recording a good monitoring and a treated room are not always in the book, so good headphones for mixing are really some of the best investments you can make. What is the “break in period” you mentioned? I never came across this term before. The break in period simply refers to the amount of hours it takes listening with the headphones on before the sound reaches it’s fullest potential. Normally when you put on a pair of high end, or even above average cans on they won’t sound that great at first. It’s only after many hours that the sound signature becomes fully realized. A lot of people will leave the headphones plugged into an iPod, or other source and just leave it playing on repeat. Others will have it play ambient noise on repeat, which is supposedly better and more beneficial to the phones during the break-in period..
Anywho, thanks a lot for stopping by! If you have any other questions let me know..
Great article on more professional options of headphones – I’ve been following you posts for a while now and enjoying every one of them! So glad you have been enjoying them.. I’ve definitely put in a lot of hours researching this stuff..I really do love audio equipment and have always loved headphones in particular.. Now I can rabble about it ! Lol. You’re right though.. Sennheiser products have been gaining more and more exposure over the years. I do think they have always been at or near the top, but have recently become a little more mainstream.. People are beginning to realize that better sound does exist, and has always existed. For instance, I didn’t even realize that a lot of these models have been around for decades! It really is amazing when you think about the longevity that these companies strive for in their products.. Sennheiser and Beyerdynamic in particular. And of course AKG 😛 Being a producer and needing a good mixing can, I have really narrowed down my next purchase to either the HD 600 or DT 880 Pro. A really hard decision!! A note to potential buyers: Upon further research, the HD600’s are the better option for mixing. The 650’s are still up to the task, but you will find a flatter and more neutral response from the 600’s. They aren’t colored or warm sounding, but rather honest and more critical. Hey Daniella! I also like the DT880, but I would recommend the HD 600 overall to be honest. The 880 is about as close to flat and neutral as it gets. While that is great for mixing, it may be a bit cold and too analytical for your husband, and has a very bright treble range that may be piercing. Yes the 600 is more expensive but it’s pretty much the go to headphone in it’s price range and is the benchmark for which other headphones are measured. Check out my Sennheiser HD 600 review!! Thanks for stopping by as well. Any other questions just ask!